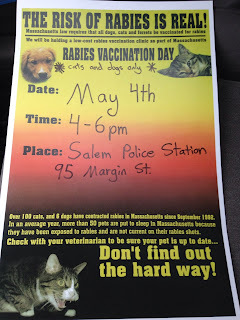 The Salem Police in conjunction with the Veterinary Association of the North Shore will be holding a Rabies Clinic. Cats and dogs 12 weeks or older. Fee is $10.00 per animal (cash or personal check only). 3 year vaccinations are available if a pervious years certificate is presented. 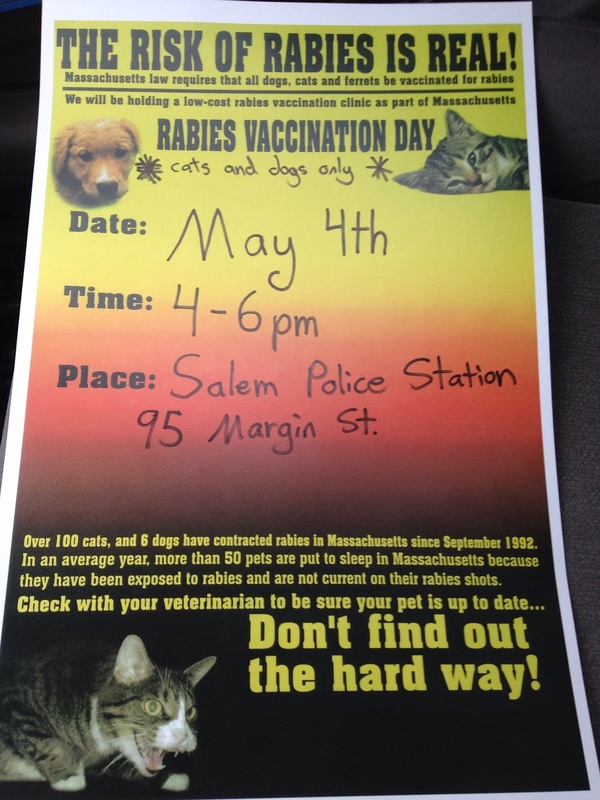 Contact ACO Don Famico at 978-744-0717 extension 121 or by email at dfamico@salempd.net with questions.